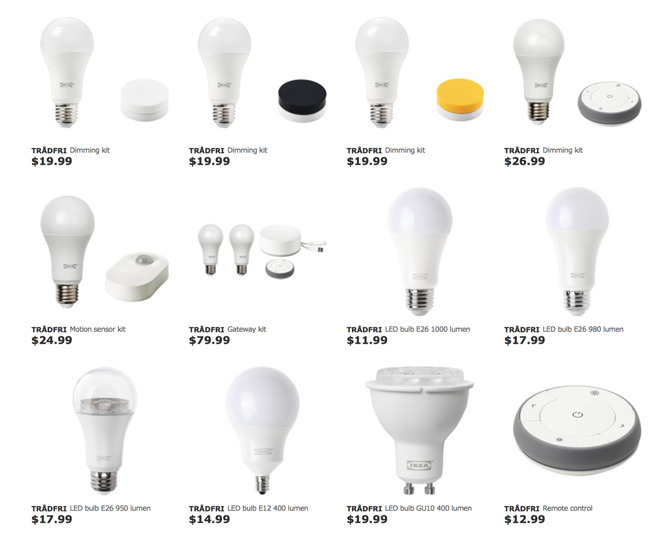 The new Tradfri system from Ikea spans nearly every kind of residential light bulb connector, with desk lamp compatible E12, Edison connector E27, and fixture-compatible GU10 bulbs available in the system. A network gateway plugs into an Ethernet connector on a router or hub, allowing for the iOS app to control connected bulbs. 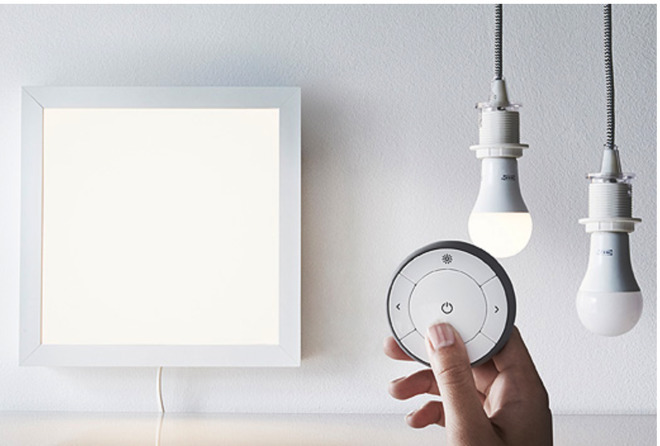 To use the Tradfri iOS app to control the system in a fashion similar to HomeKit with functionality similar to "Scenes," a gateway is required, and sells for $30. Individual bulbs are available for as low as $11.99. Light panels and doors promised for the system during launch in Sweden have not as of yet materialized at retail. The system is not HomeKit compatible. It appears that the system uses the Open Mobile Alliance Lightweight M2M system, utilizing the Constrained Application Protocol (CoAP) and SSL derivation DTLS.